Born: 3 September 1897, Bloemfontein, South Africa. Died: 23 July 1965, Pretoria, South Africa. Alexander MacDonald Diesel (later known as "Don" Diesel) grew up on a farm in the Bloemfontein district and matriculated at Grey College, Bloemfontein. In 1917 he was awarded a government scholarship to study veterinary science at the Royal Veterinary College, London, where he qualified (MRCVS) in 1921. In May the next year he joined the Veterinary Field Division of the South African Department of Agriculture and served as veterinary officer for 11 years in Natal, the Orange Free State and Transvaal, particularly in regions where the battle against East Coast Fever was then at its height. In July 1933 he was promoted to senior veterinary officer of Natal, a post which he held until November 1944, when he was transferred to Pretoria on promotion to assistant director of veterinary services. He became deputy director in May 1947, holding this post until his retirement in September 1958. From 1945 to 1958 he also served as senior lecturer in state veterinary medicine at the Faculty of Veterinary Science at Onderstepoort. Diesel played a key role in the eradication of East Coast Fever and published a comprehensive report entitled 'The campaign against East Coast Fever in South Africa' in the Onderstepoort Journal of Veterinary Science and Animal Industry (1948, Vol. 23, pp. 19-31). He was also Chairman of a ministerial commission of enquiry into the control of Foot and Mouth Disease and submitted a comprehensive report. In a letter of thanks the Minister of Agriculture described the investigation as a "formidable task culminating in an admirable and well thought out report". Other publications by him included 'The control and eradication of ticks in South Africa' (1935) and 'A state veterinary service for South Africa' (1948), both in the Journal of the South African Veterinary Medical Association, and 'The epizootiology of lumpy skin disease in South Africa' (Proceedings of the 14th International Veterinary Congress, 1949). Diesel served on the council of the South African Veterinary Medical Association continuously from 1945 to the year of his death, including terms as president (1952-1956) and secretary (1961-1965). He was elected an honorary life vice-president in 1957. 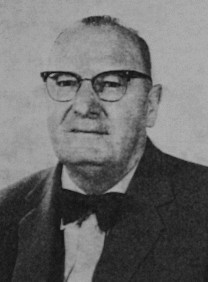 In 1953 he published an article on "The early veterinarians of the Cape" in the association's Journal. He was married to Annie Thomson Diesel (also known as Ann or Anne Thompson Diesel), born White, and was survived by a daughter. Diesel, A.M. "The early veterinarians of the Cape. Journal of the South African Veterinary Medical Association, 1953, vol. 24, pp. 191-196. Google scholar. http://scholar.google.co.za Publications by A.M. Diesel. Posthumus, P.J. Past veterinarians in South Africa (10th edition), 1992, Vol. 1. National Archives, Pretoria. Source MHG. Reference No. 5756/65, death notice. National Automated Archival Information Retrieval System (NAAIRS). http://www.national.archives.gov.za/naairs.htm Documents relating to Alexander MacDonald Diesel / A.M. Diesel. Obituary: Alexander Macdonald Diesel. Journal of the South African Veterinary Medical Association, 1965, Vol. 36(3), pp. 411-412.